What if my name changed since my most recent green card was issued? 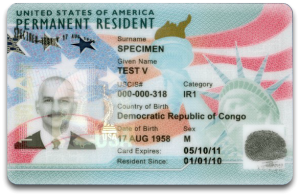 If your name has legally changed since the issuance of your Permanent Resident Card (green card), you can update your green card by filing Form I-90, Application to Replace Permanent Resident Card. Check “Yes” when asked if your name has legally changed since USCIS issued your most recent card. 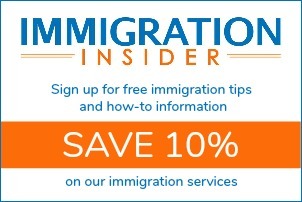 USCIS will require evidence submitted with Form I-90 such as the marriage certificate or divorce decree. USCIS will issue your new green card in your new legal name. What is a legal name change? Marriage and divorce are two of the most common reasons for a name change on a green card. However, legal name changes are possible for a variety of reasons. In order to use a new name on immigration documents, including a green card, you must have legal proof that your name has changed. You must submit a copy of the original court order reflecting your name or a copy of your original marriage certificate, divorce decree, birth certificate, adoption decree, passport or applicable court documents, etc. Legal name change documents submitted as evidence of a name change must have been registered with the proper civil authority. For more information, read How to Do a Green Card Name Change After Marriage or Divorce.